Our House Listing is COMPLETE! So, I’ve been telling of our adventures in fixing up our house before we put it on the market. We have been work, work, working on updating, painting and a list of other tasks. We certainly do not live in Hollywood, but it is a cozy little house that we have enjoyed for more than a year now. As you may or may not already know, Anthony and I are moving to Pennsylvania, so we are selling. The listing for the house was completed this past weekend and fortunately for us (I hope!) we’ve had two calls and some people stop out front to write information down! Turns out, they also called our agent, and they will be at our open house this coming Sunday. 🙂 Hopefully they won’t be the only ones! 🙂 With all of the hub bub, I thought I’d share the listing with you, let you see where I live, and see what you think. Any suggestions for no-cost improvements are welcome if you think it will help us sell! Click here to see the house pics. Note: In the upper left hand corner, click on the camera with a number 25 next to it to see all pics. On another note, Anthony and I were in Pa. this past weekend for Father’s Day. Of course it can never just be a simple visit. We went to job interviews, visited with family and looked at houses. We’ve decided to also consider buying, before we finalize plans to build. That way, we will be able to make a very confident, fully informed decision. We found some very nice homes and now it’s a matter of waiting to get some more answers and monetary figures back from builders. 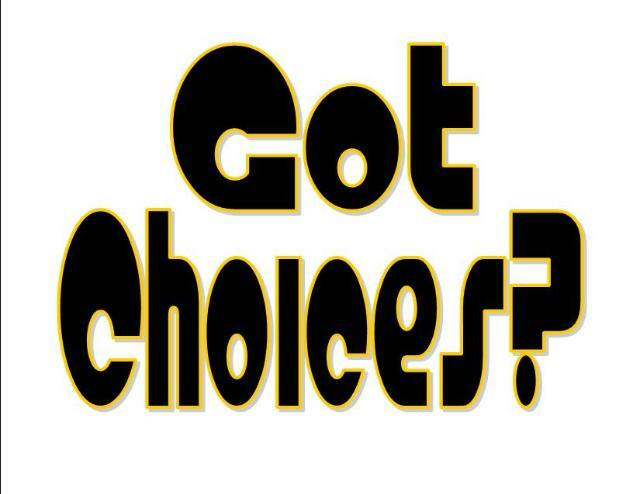 Once we have that information, we will be able to make some REAL concrete decisions regarding what direction we prefer to go. Building and Buying both have their pros and cons…anyone want to chime in with their two cents? I’d love to hear your thoughts! If we build, our options are a “stick-built” home, or to build a “modular” home. We are liking the modular homes because they have not only come a long way in quality since their inception, but they can be built much more quickly than an “on-site” built house. When I say “more quickly” I mean about 4 months from start of the paperwork to finished/turn-key house! That is definitely appealing! Buying a house would likely take less time than that. So many things to think about! And now that we are considering buying, as an option too, there’s even more. Yoi! Congrats on all of your excitement, and best wishes! check it out at my blog! 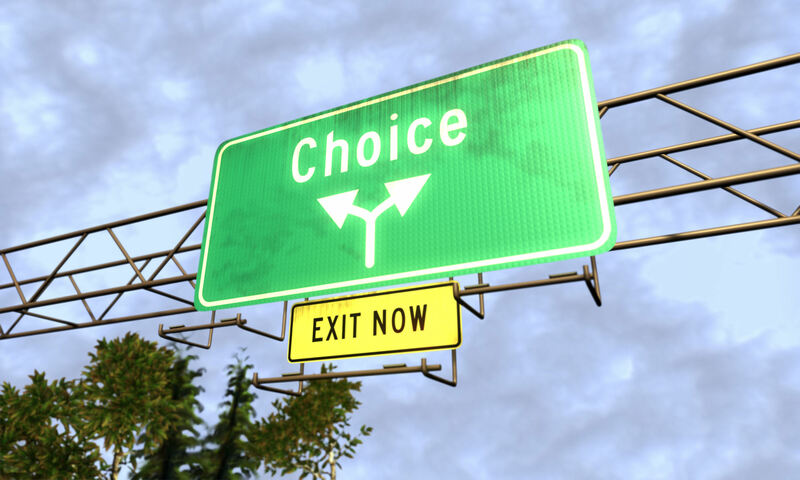 Can you tell me where you found the “Choice” road sign image? Is it copyrighted? May I use it in presentations?